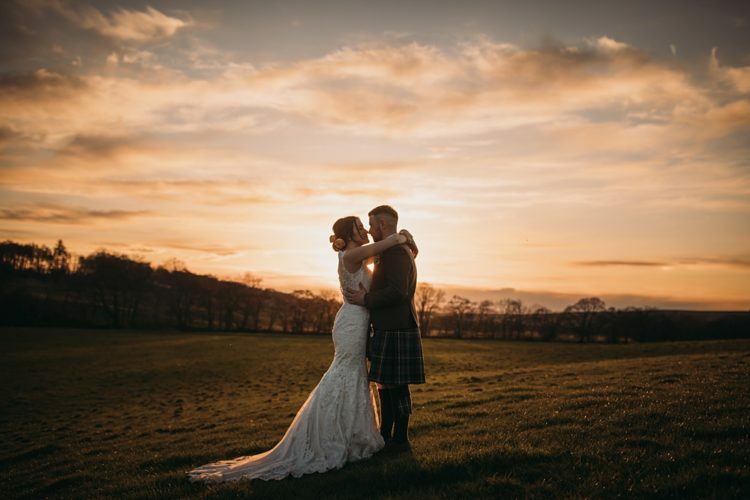 Emma and Simon are childhood sweethearts, so their big day was a long time coming for friends and family! 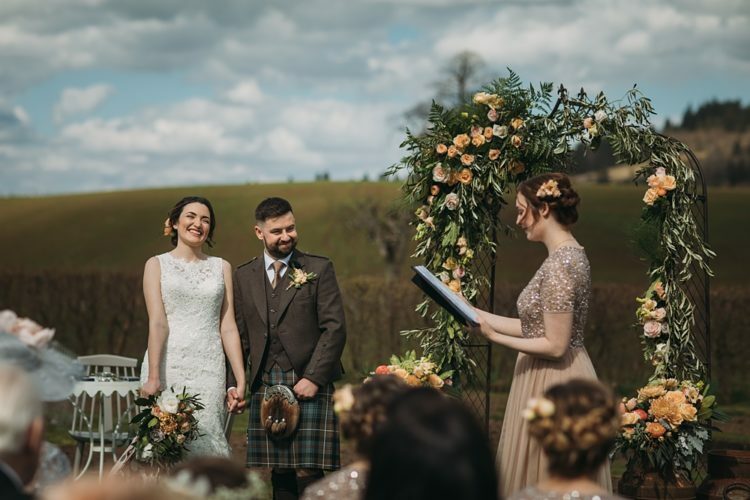 They chose gloriously rustic The Tin Shed at Knockraich Farm to host their wedding and were lucky enough with the weather that they could have their ceremony outside. 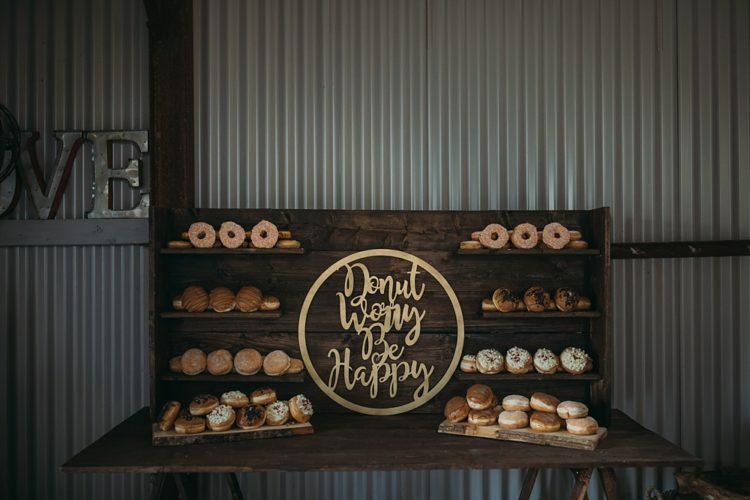 This wedding is a rustic dream, so sit back, relax and enjoy. The couple decided to go for a neutral color palette with peach and coral accents and decided to team that with copper and gold décor. 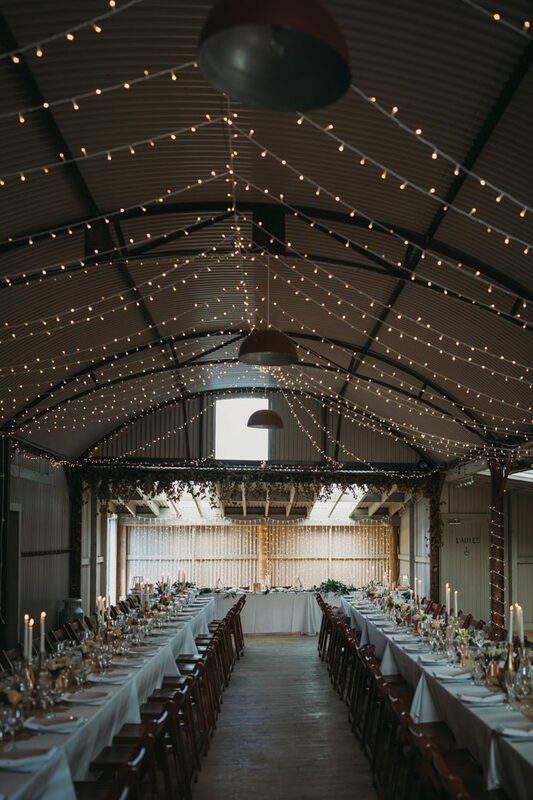 They also decided to go down the DIY route as much as possible early on in the planning so friends and family collected empty bottles and tins which the couple painstakingly cleaned and spray painted and which they then used as candle holders and flower vases to decorate the long guest tables. 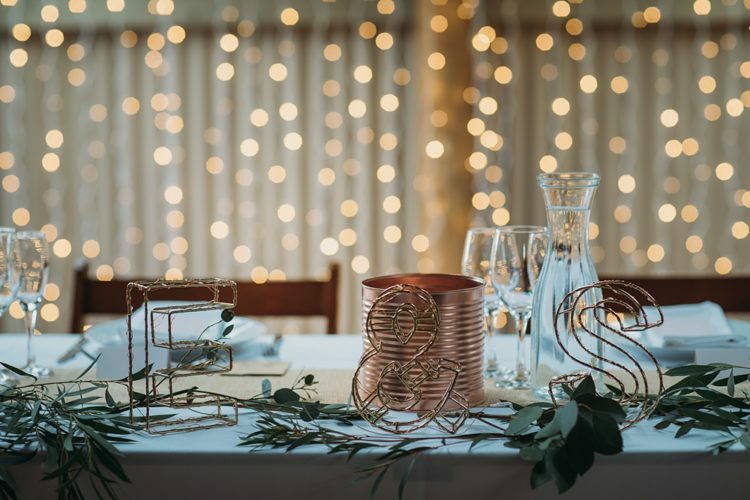 The brided picked up copper geometric lanterns and candle holders from the high street to decorate the top table and cake/guestbook tables. The bride wanted a rustic undone style with lots of dark green foliage and specifically asked for some of her favorites: coral and peach ranunculus, cream peonies, peach chrysanthemums and white anemones. There was a four tier lemon sponge naked wedding cake decorated with fresh berries and icing sugar. The cake was served as dessert along with the berries and a scoop of vanilla ice cream which was made onsite by the dairy farm – it was the perfect light dessert to follow such a large main course. The bride was wearing a super romantic lace mermaid wedding dress with no sleeves and an illusion neckline. 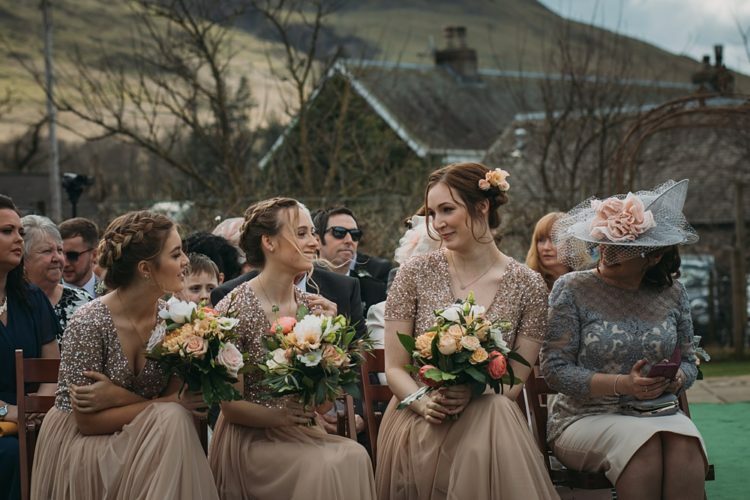 The bridesmaids wore the sequin and tulle ASOS dresses in blush. 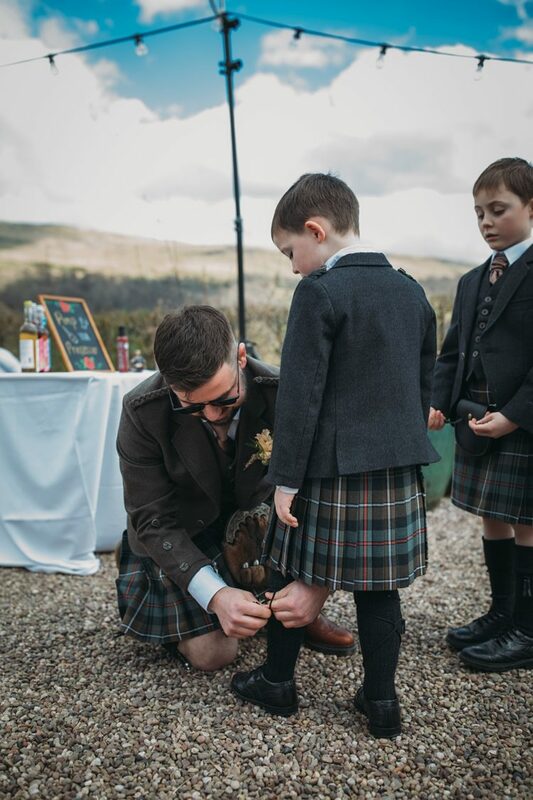 The groom and groomsmen were wearing waistcoats, jackets in brown and traditional kilts. 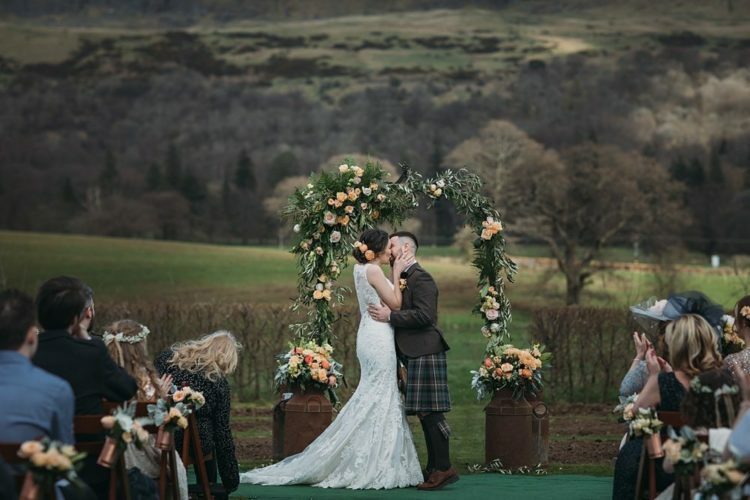 Take a look at this cool wedding below and get inspired!